Both ladies are hot, too! Bench’s 30th anniversary fashion show, called Under the Stars, was a venue for guests to come together and celebrate the Filipino brand founded by Ben Chan. Held yesterday, November 18, at the Mall of Asia Arena in Pasay City, the show delighted fans as they watched their favorite celebrities from rival networks walk the same runway and share a few fun moments together. 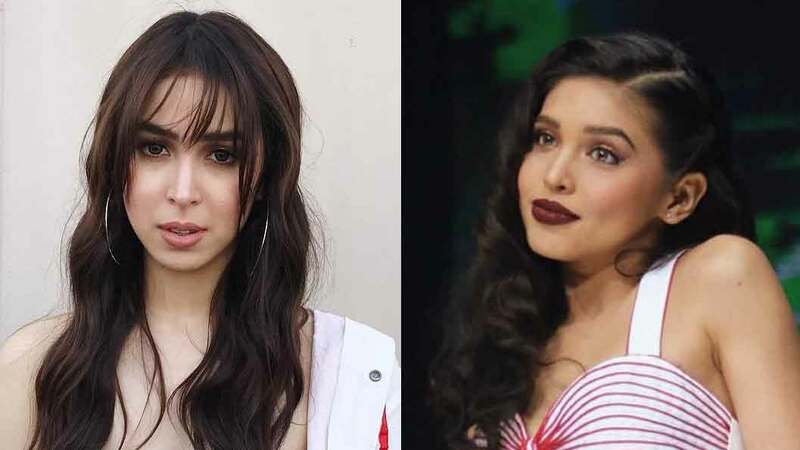 One such fun moment was between GMA TV host-actress Maine Mendoza and ABS-CBN actress Julia Barretto. Their cute moment together was caught on video by GMA anchor and senior news correspondent Nelson Canlas, who posted it on his Instagram account. The video, which can no longer be found on Nelson’s account, has been reposted several times by fan accounts of both Maine and Julia. Taken after the curtain call, the video shows Julia calling Maine, then pointing to someone in the audience, to whom the ladies waved. The two then shared a hearty laugh and joined the rest of the celebrities who were dancing and mingling onstage.